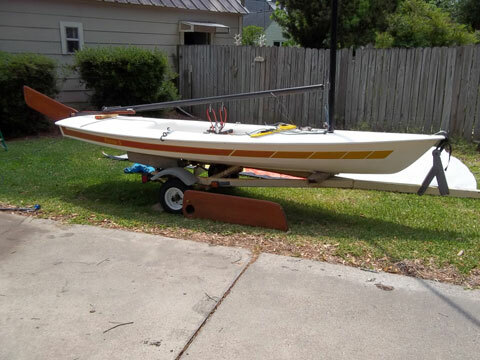 boat has been stored with little use for 30 years. 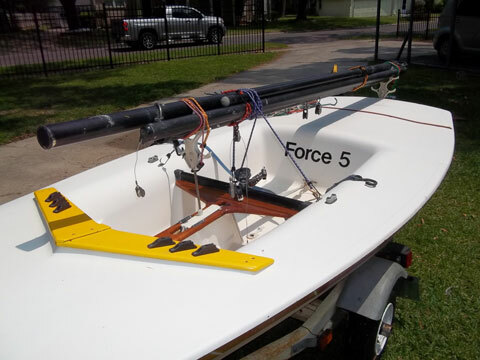 Force Five performance sailboat with Dilly trailer with new tires, lights. All equipment complete and new deck woodwork. 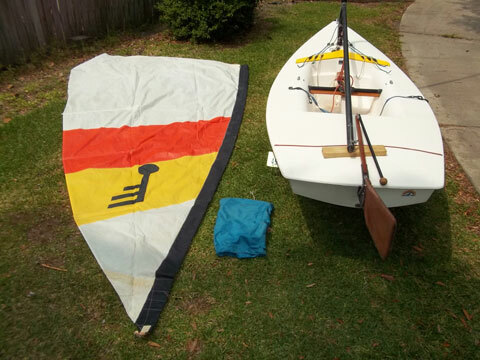 Should be ready to sail. 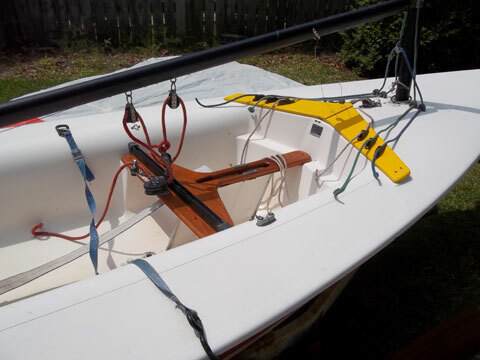 Has mast carrier option that allows your to fasten mast pieces & boom to boat deck for trailering. Hull is sound and original sail is in great shape for it's age. See pictures.